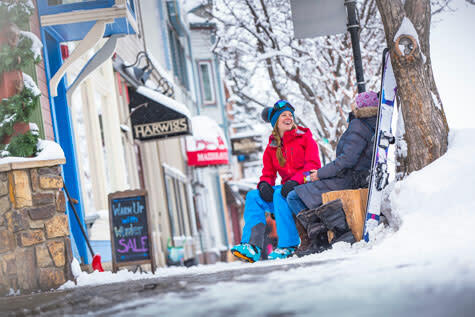 Whether you’re searching out authentic western wear, outdoor apparel, fine art galleries, or unique gifts, we&apos;ve got it all in Steamboat Springs. There are candy and ice cream shops for the sweet-tooth, bookstores and coffee shops for the bookworm, art galleries and craft stores for the artistic minds, and equipment and outdoor shops for the adventure enthusiasts. Take a stroll down Lincoln Avenue, a walk around the mountain area, or a short drive to the multitude of stores throughout town to find that perfect Steamboat souvenir. Sport the latest trends from local clothing shops tailored to your every need, or don the necessary accessories - cowboy hats, for one. For the adventurers, don&apos;t miss getting stocked up on the latest ski, mountain bike, or camping gear at one of our specialty outfitters. If you are looking for a little retail therapy, Steamboat memorabilia, western wear, outdoor gear, or something special, one of our unique stores is sure to fit the bill. If you lucky enough to be in town for the Downtown Sidewalk Sale during late March, Memorial Day, or Labor Day, you&apos;re sure to find the best deals from our retailers as they start to clear their shelves during this three to four day event. For a unique shopping experience, head down to our Farmers Market open every Saturday mid-June through mid-September. Fashion comes naturally to Steamboat Springs, fusing functionality with style with westernwear and outdoor gear. 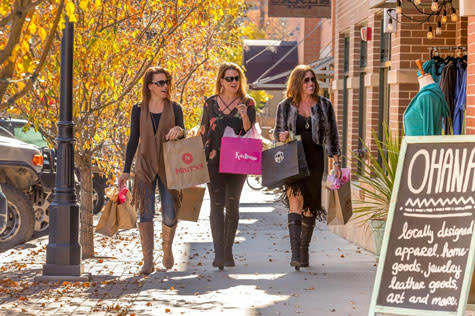 And there’s certainly no shortage of boutiques that cater to a more sophisticated Rocky Mountain fashion taste. Don’t miss our local handmade goods from right here in the Yampa Valley. Peruse for your next purchase at some of our local shops below. Want to enjoy everything that Steamboat Springs has to offer? You’re going to need gear for that. Ski gear, cycling gear, hiking and hydration, team sports and camping. Local sporting goods stores offer everything from daily rentals – complete with door-to-door services - and purchases that will last you a lifetime of adventure. The Steamboat Springs Chamber now offers gift cards, valid at many of our local Chamber Member businesses. These gift cards make a great gift, are easy to use, and gives you flexibility on where and how to spend your dollars in the community. Great for family, friends, and coworkers, pick yours up today at The Steamboat Springs Visitor Center. To learn more about Gift Cards and where you can use them, click here.